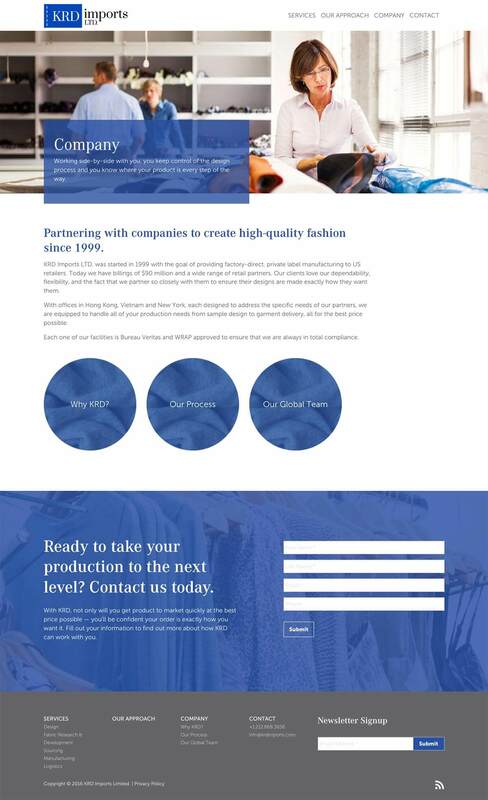 The new KRD Imports website positions the brand as a serious, global player in clothing manufacturing. The brand messaging resonates with decision makers in merchandising, production, etc. 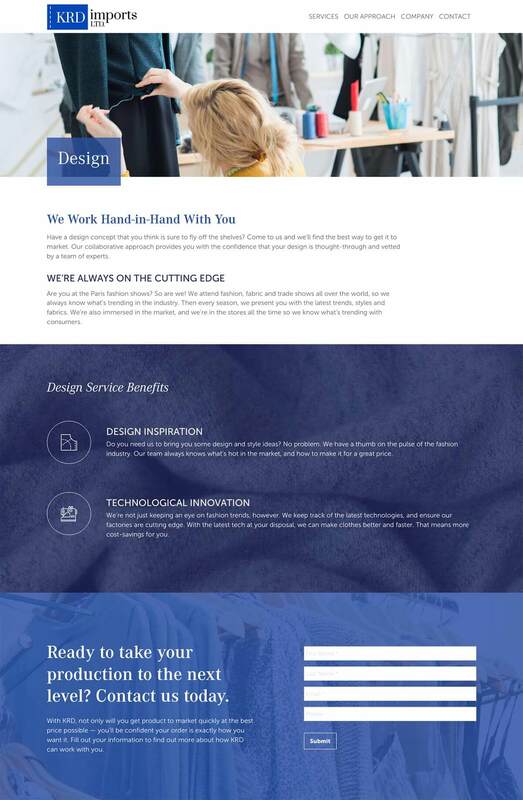 The end result is a web platform that acts as both a lead generation and nurturing tool–driving sales and creating project expansion opportunities.